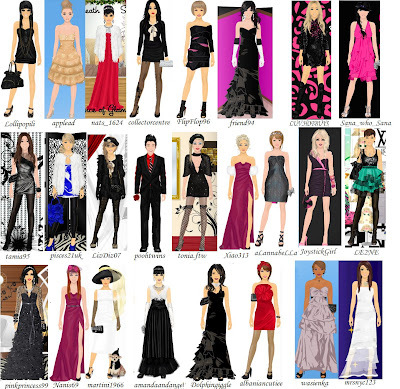 STARDOLL FREE | Underneath Stardoll Blog: Best Dressed - Glamour!! there where almost 100+ members that applied for the contest(WOW!!! )...the theme was Glamour...Unfortunately only 25 got the ticket to the poll...!! You might also not be in the poll because we couldn't find your nick on stardoll...you didn't have your doll dressed according to the theme.... or because there was no outfit saved in the album...or at least on you when we came in your profile!! So...We chose the best dressed girls(and boys! )...the ones who did their best...according to the theme!! Photos taken from there album or suite! !